Bio Naza ChocoHair Hydrating Conditioner 946ml/32oz - Just Beauty Products, Inc.
For Dry, Colored, and Over Processed Hair. Contains cocoa extract. Heals, repairs, nourishes, and moisturizes, producing silky soft hair. 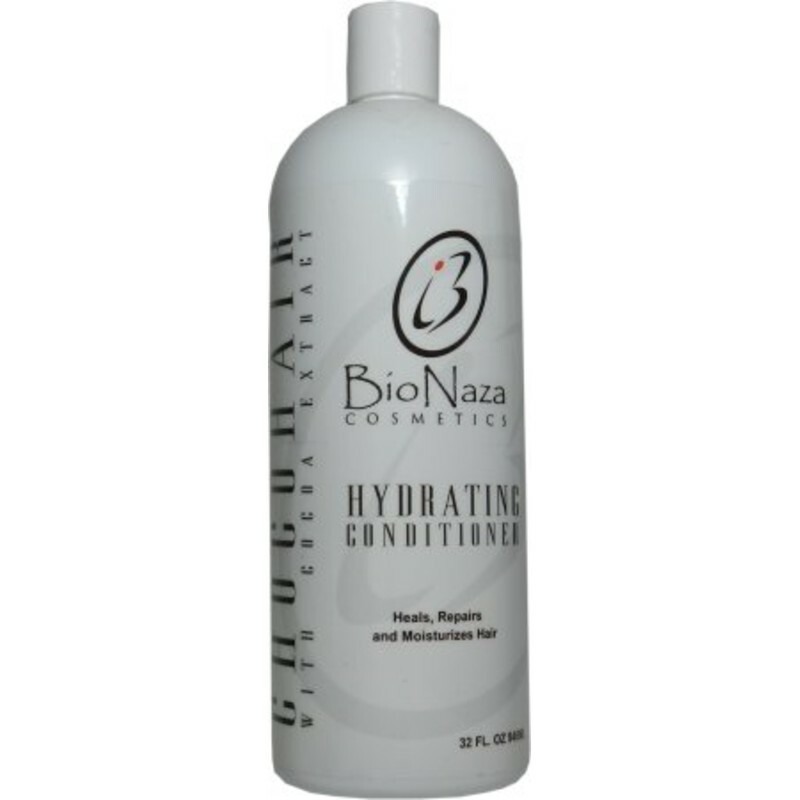 It is a great hydrating agent for dry and over processed hair. For better results, Chocohair Hydrating Shampoo and Chocohair Hydrating Conditioner should be used together. How to use: Massage Chocohair Hydrating Conditioner into wet hair, rinse thoroughly. Use daily. Ingredients: Water - Phenoxyethanol - Amodimethicone - Capryly Glycol - Green Tea Extract - Propylene Glycol - PEG-8 - PEG-8/SMDI Copolymer - Palmitoyl Myristyl Sennate - Hyaluronic Acid - Hydrolyzed Keratin - Rosemarinus Officinalis (Rosemary) Extract - EDTA - Sodium Benzoate - Hydrolyzed Collagen - Potassium Sorbate - Cocos Nucifera (Coconut) Oil - Olea Europaea (Olive) Fruit Oil - Fragrance. Caution: Use only as directed. Keep out of the reach of the reach of children. Avoid contact with eyes. In cases of contact, flush thoroughly with water. If redness or irritation develops, discontinue use immediately.